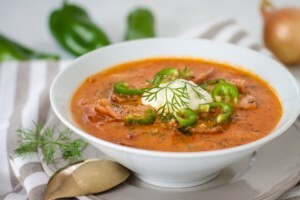 Russian cuisine is based off the peasant food of the rural population that had to deal with a harsh, long-lasting winter. Traditional Russian food is meant to fatten people up in preparation for the long winter ahead and has more carbohydrates and fat than proteins. Here are local dishes you have to give a try. This is a very simple food but one of the most important for Russians. They love this bagel, or doughnut-shaped bread roll. First mentioned in Russia in 12th century under the name rogalik, it soon spread all over, from the Tsar’s table to peasant houses. There are a lot of international connections with bublik. 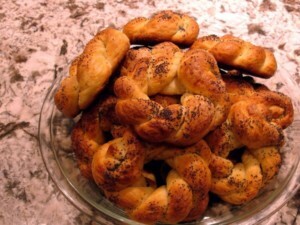 Bagel in States which originated from the Jewish bublik in Odessa (Ukraine) is the most authentic one. But there are also croissants in France and Germany’s pretzel. Ikra means caviar. 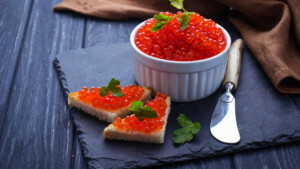 The word ‘caviar’ comes from Turkish ‘havyar’. There is black and red caviar. Red one is almost ten times cheaper and therefore more affordable. 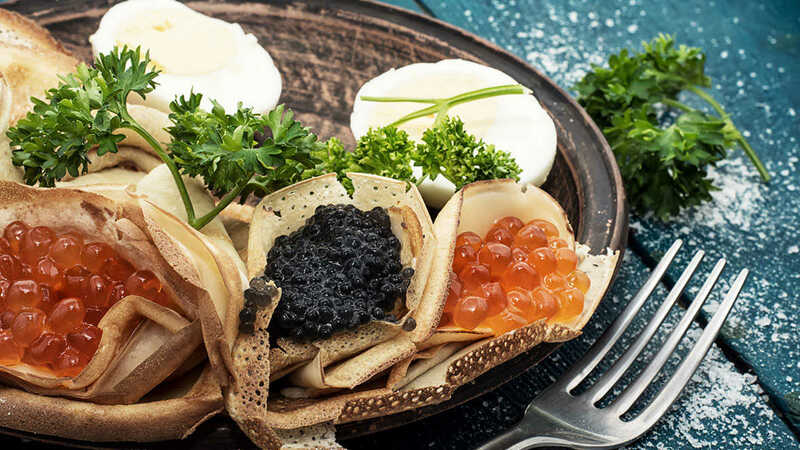 Caviar has been famous in Russia for hundreds of years. In 1920’s the Petrossian brothers emigrated from Azerbaijan to France, where they opened the first caviar restaurant, Petrossian Paris. 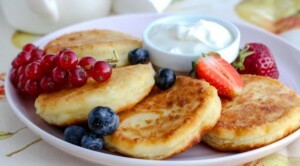 This is fried quark or cheese pancakes, garnished usually with sour cream, jam or honey. Syrniki are made from creamy quark, mixed with flour, eggs and sugar, sometimes adding vanilla extract. The soft mixture is shaped into cakes, which are fried, generally in vegetable oil. The outside becomes crisp and the center is warm and creamy. They are sweet and served for breakfast or dessert. Their simplicity has made them very popular, not only in Russia but generally in eastern Europe. The name Syrniki comes from the word ‘syr’ – cheese in Russian. Solyanka means ‘salty thing’ from the Russian ‘sol’ (salt). It is a typical traditional leftover meal, like having cold Italian pizza the next day. Even as the name suggests, this soup has few special qualities other than the salt. There are key ingredients such as sausage and meat, potato, tomato or tomato sauce. Solyanka is usually taken with the shot of vodka, to help you digest this weird leftover soup. This is a Kvas-based cold soup. Kvas is fermented sour-sweet drink made from rye bread and since the Kvas itself is a very unusual drink for guests, Okroshka will probably taste also very strange. Ingredients may vary, but most likely there will be sausage, cucumber, egg, potato, green onion and sour cream. We chop some herbs, like dill, and add them to soup just before serving. It is considered most appropriate to have Okroshka for lunch, but in summer in country houses some prefer it all day long. 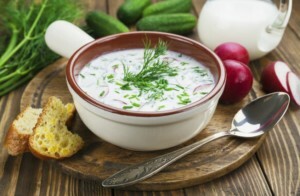 Russians love their summer soups. During the hot seasons it helps you to cool down. When it’s too hot and you don’t have an appetite, this cold and sour soup is a perfect choice.